I’m honored to have Jody Fernando guest post today at Communicating Across Boundaries. 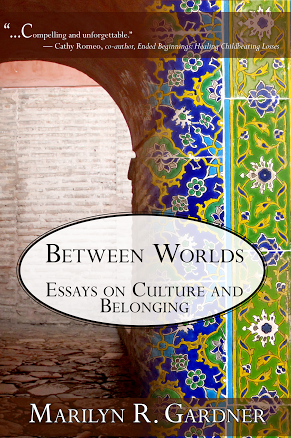 Jody blogs at Between Worlds, a blog I highlighted as a favorite new blog that I’ve discovered. It was my brother who first sent me a link to an article she wrote in the fall and that’s all it took to bring me in. The article was called When White People Don’t Know They’re Being White and it provided hard and necessary discussion, evidenced by the fact that it went viral and is still being widely shared across social media sites. Jody is a beautiful, thoughtful writer providing much-needed perspectives on crossing cultures, racial inequalities, racing biracial kids, and faith. You can read more about Jody at the end of the article. When I first started to cross cultures, there was a distinctly romantic quality to every adventure – fascination with food and language and buildings and transportation and landmarks. I would inhale the smells and sights and textures with wide eyes, captured by the difference they represented. I would wrap my tongue around the words and sounds, attempting to capture some small meaning with my own mouth. Culture captivated me, and I drank it in with every cup of tea I shared. As time has passed, however, this romantic captivation slowed, and I found that crossing cultures no longer carried the same zing it once did. In fact, it required more energy with each new encounter for I no longer entered ignorant about my own assumptions and inadequacies. When I enter a new culture these days, it is slower, more observant, less enraptured. I walk carefully and quietly, curious but patient about the new realities I encounter. After nearly half a lifetime of loving across a culture, the exoticism of such differences is being slowly replaced by a simple expectation of normalcy and humanity. In short, I expect now to find people when I travel – not exotic animals on display in a zoo. I expect that those people will be fully human, with all sorts of wonderful and terrible qualities within. I expect that there will be some things I admire deeply, some that make me a bit angry, and some that I will simply never understand. Rather than try to stereotype a group at large, I try more frequently now to understand individuals. In light of my personal shift over the years, I was quite eager to read Joseph Shaules’ book A Beginner’s Guide to the Deep Culture Experience in which he writes about the differences between the surface aspects of culture that are more “exotic, artistic, ceremonial, and visible” and the ways that culture subconsciously programs our minds. As I read Shaules’ book, I was struck by how much I could relate to even though I’ve never lived outside of my home country. It reminded me that it’s not always necessarily to leave a homeland to live between worlds, especially in the US. Engagement. While tourists may spend their days relaxing at the beach or isolating in museums, learners of deep culture stumble through navigating daily realities and rubbing shoulders, facing higher levels of stress, confusion, and energy because they engage the culture around them, let go of their control, and take chances. They don’t give up even when they make mistakes or fail. Reconciliation. 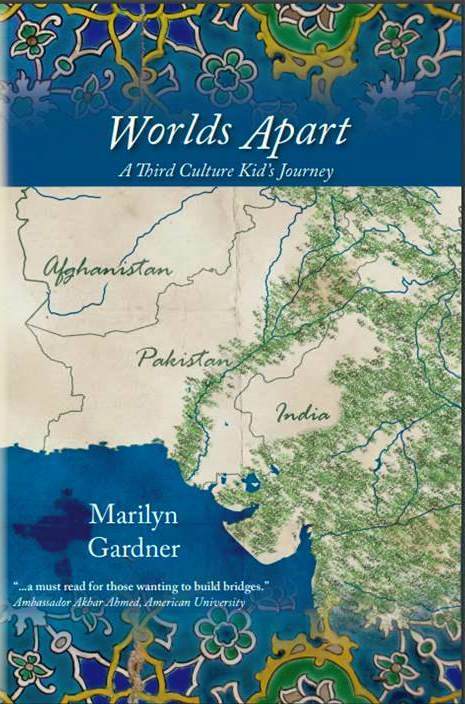 Deep culture learners use the conflict of their contrasting cultures to build connections between all of their worlds. They recognize that while we might adapt to the ways of another place, we always bring pieces of our own identity to the table, and that these pieces remain valuable in any cultural context when presented with humility and flexibility. Inner and outer practice. By maintaining an open and curious attitude about the surface (outer) aspects of culture, deep culture learners grow as they consider the strengths offered by understanding the visible cultural differences in a new culture. At the same time, deep culture learners must also learn to pay close attention to what happens inside (inner) themselves in order to better understand how and why we respond in situations that cause cultural stress. Breaking routines. The first time our notion of cultural normalcy is shaken is hard to forget. For Shaules, it was the discovery of lime and chile potato chips, for me, it was apple Fanta. The shock of discovering a new take on an established routine can be jarring, and when these day-in-day-out routines are interrupted, we’re forced to wake up and notice small realities around us. Breaking these routines on purpose can be one way to increase deep culture learning. Take a different route to work. Eat a new food. Change a service transaction to an engagement with another human being. Language learning. It’s impossible to learn a culture deeply without speaking the language of that culture. Internationally, this obviously means language study either in person or online. For those who belong to the majority culture, however, I’d suggest that this may also mean listening a great deal more than we speak – even in our own language. For even if we speak the same language, we don’t always communicate the same way. As we seek to interact across cultures more deeply, it’s essential to learn the language of those we’re attempting to love. Entry point. Cultivate relationships with people willing to help you navigate a new culture. I have had countless guides along the way – people who have been patient with my questions and willing to help me understand more deeply. Please note that this isn’t a one-time deal, but an on-going relationship. No one will be able to tell the ins-and-outs of cultural learning over a single cup of coffee. These attitudes are only the tip of the iceberg presented in A Beginner’s Guide to the Deep Culture Experience, and I’m deeply grateful to Shaules for the insight he gives into deepening cultural understanding. As the worlds shrinks, these are skills we all need, and this book will provide readers ample material for personal reflection and discussion. Have you read Shaules’ book? What were your most valuable take-aways? About the author: Jody Fernando does a lot of living between worlds. A midwestern girl from the cornfields, she is married to a man from the Indian Ocean. Together, they raise their bicultural and biracial children, and have family on four continents. She explores the ins and outs of intercultural living on her blog Between Worlds, helps amazingly resilient immigrants learn to speak English, teaches a few university courses, and makes a mean curry. Just came across this post and was touched to find such positive comments. Always wonderful to hear the experiences of those who look deeply at intercultural experiences. Joseph is wonderful, and I didn’t even know about his book. Thank you for sharing! A powerful and wise post, Jody. Nice to be on the intercultural competence journey with you! I haven’t read that book but now I will add to my ever-growing list. Thanks for writing, fun to find you here Jody. Hi Rachel! He wrote a textbook as well, but the version above is waaaay more readable! Thank you very much for this very interesting insight into Shaules’ book and the fact that he points out “attitudes that help cross-cultural sojourners develop intercultural sensitivity”, which I personally consider very important, makes it, for me, to a must read for everyone who leads this kind of life. I was thinking the same thing about the book – sounds like a ‘must-have’ for those of us living cross-culturally.